nesdev.com • View topic - x2+x3 multicart using a x2 donor. Post subject: x2+x3 multicart using a x2 donor. I came to share a repro cart that I researched a long time to be able to do it. This is a megaman x2 + x3 copy using a x2 donor. I will not share the ROM, but all information needed to do it is found in this forum. Post subject: Re: x2+x3 multicart using a x2 donor. By the way, you're using level shifters, right? Unfortunately a cheap repro without proper level convertion damaged my old SNES. I didn't want to be rude, but I think these kind of mods are a total lack of caution with older hardware, just to take it easy. I recognize that the modder has great skills, but really lacks in this territory. hi fisher, unfortunately i'm new in the reproduction world. i'm still learning the right ways to do the things. 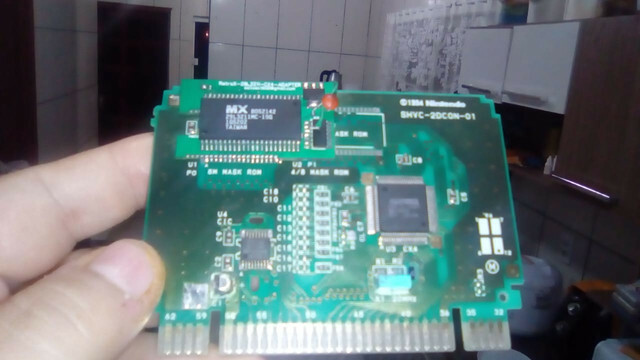 here in Brazil repros like that are commom. there is little information about reproduction carts in Portuguese (by the way I'm Brazilian). and this multicart version I intend to improve to use 5V memories to not risk the console. 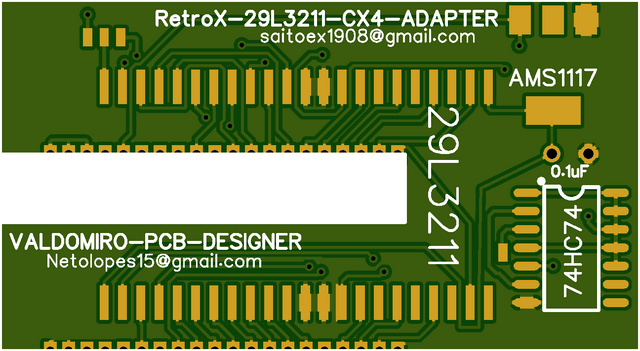 I am slowly working on a devcart that uses the original CX4 and will even have the ability to address 32mbits for ROMs like Megaman X3 Zero Project. I hope to be able to bring news soon. I'm Brazilian too and I really regret to have bought and played that repro. I hope you can sucessfully build your devcart, who knows what could be done if the CX4 capacity was better explored? I have many good memories about these games, specially X2! It would also be great if someone could build a CX4 clone, but I think that's not an easy task. I have to admit, I'm curious why the flip flop on the pcb? To Fishers point, the correct way to integrate 3v parts is to level shift the addresslines down to 3v to protect the roms. The CX4, in effect, will upshift the datalines as it exits the CX4. I don't know if the CX4 datalines (on the roms side) are bidirectional ~ I don't think so? But if they are, they need to be translated also. My main concern is about the console itself, since it's internal parts are not very easy to replace. I think the level shifters can be incorporated on the same board that does the pin convertion. Not trying to get too off-topic, but are special chips like SA1 and SDD1 3,3v tolerant on the ROM part? I'm probably wrong, but it seems that the ROM is totally accessed through the chip, is it? Hello markfrizb. I have to admit that I am a big fan of your work. I already see several of your mods and I am surprised more and more. Your English is quite good. No apologies needed. I wouldn't have thought of using a flip flop for the switch over. Good call.